In Autumn, one of my favourite things to do is have cosy night ins. When I think about the perfect night in, I imagine myself in bed, with some blankets, some candles lit, a cuppa and some book or tv show. Possibly cuddling my dog as well. You know, it just feels great to be snuggled in bed and having a well-deserved me-time. So, here’s a list of things I like to have on a night in. 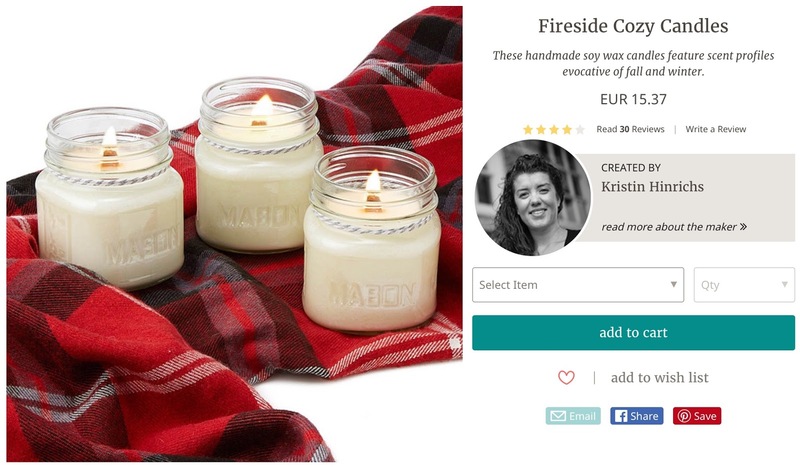 You can’t have a comfy night in without lighting some candles, can you? I rarely light candles in spring or summer but at this time of year, I can go a bit crazy. I’m always looking for the perfect “autumn” smell. Right now I’d kill to have one of these candles from UncommonGoods. They have a great selection of sustainable products on their website great for gift giving, so you know, you could buy some for a loved one or just treat yourself!! These unique gifts are perfect for Christmas, especially if you don’t know what to gift to your Secret Santa or that family member that’s always hard to buy things for. Everyone loves candles, right? Blankets are a must. Especially if you live somewhere cold. Sadly I don’t and right now the weather is still pretty warm most days. However, that doesn’t mean I can’t have blankets in bed and wrap myself in them on the odd cloudy/rainy day we have every now and then. I bought this blanket a few weeks ago in Ikea and it’s the most autumnal blanket I’ve ever seen in my life. I also have a slightly less autumnal blanket but that one is softer and warmer. My personal favourite is hot chocolate. You can’t really beat that, can you? But tea is also right up there. I love having a cuppa whilst reading. Although, more often than not, I end up drinking the whole tea before continuing with my reading *facepalm*. So if you are one for books or know someone that loves books and drinking tea, this would also be perfect for them!!! 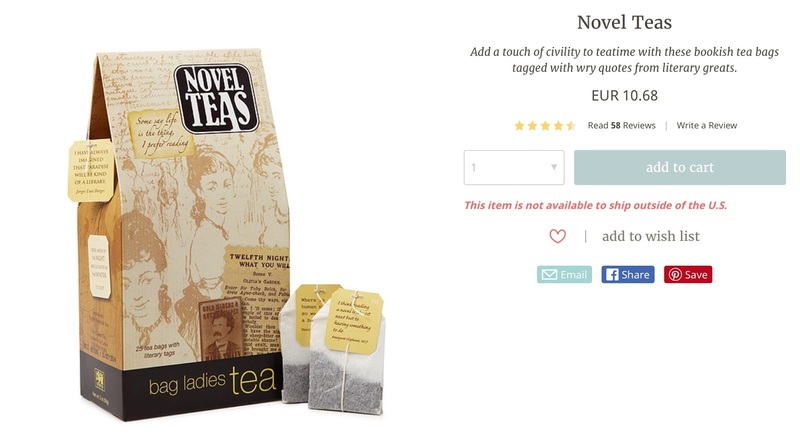 Tea inspired in novels? I mean, what a dream. You can find them in their gifts for women section on this page, but certainly, you can get them for anybody. Now that the basics are covered, let’s move on to the what to do part. Autumn means it’s spooky time. So go to Netflix (or pick up a dvd) and choose your Halloween movie of choice. Hocus Pocus, Coraline, Halloween Town, Carrie, The Nightmare Before Christmas (though I'm not sure if it's a Halloween of a Christmas movie...I just watch it at both times of year!) or whatever floats your boat! Because let's face it any movie is great for me-time. I always go for Disney, Marvel (which is technically also Disney but whatever) or rom-coms. If you wanna change it up you can watch some tv shows, now the second season of Stranger Things is released at the end of the month so that’d be a good thing to watch. Obviously, you are not restricted to scary stuff so you can watch whatever makes you feel good and cosy. This time last year I was watching Gilmore Girls as a "background show" and it was perfect, it gave me all the autumn vibes. But, you could also just lay in bed and do nothing whilst listening to your favourite music or listen to music while reading or journaling, which leads me to my next point. This time of year my favourite thing to read is light-hearted books. Contemporaries are perfect for that, they just make you feel good; even if some are so cliché. But obviously, mystery's are great too, to set the Halloween vibe and all that jazz. Harry Potter is also perfect, imagine the Great Hall with all the Halloween decorations, how beautiful is that. I’m currently reading Coraline and it’s both confusing and creepy. I’ll have to rewatch the movie after I finish it. Of course, instead of reading, you could also just write about your day or whatever it is you like to write about. Journaling is great for decluttering your mind. It’s even better if you have cute stationery. I’d personally gift this notebook to my dad because he likes stationery as much as I do. These are just some of my essentials, what are yours? Big thanks to UncommonGoods for collaborating with me on this post. Make sure you check out their website if you’re after some gifts for your loved ones! They have a great range of handmade products made by independent artists using recycled materials. That’s always a plus ain’t it? So go have a look, Christmas is fast approaching!! All of the above! I like the photos you've included too. Some chill music as well goes a long way in adding to the coziness.